THE official spending watchdog has launched a probe into the circumstances behind the decision to allow the Virgin Trains East Coast franchise to end three years early, after its major shareholder Stagecoach Group admitted that the £3.3 billion bid had been too high. The news sparked a controversy over the potential cost to taxpayers, which former transport secretary Lord Adonis claimed could be 'billions'. 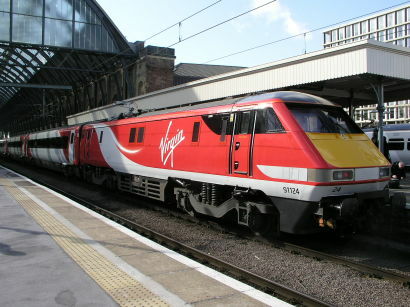 While he had been in office under the last Labour government he had nationalised the Intercity East Coast franchise in November 2009, after the last private sector operator National Express Group had also admitted defeat on the route. Transport secretary Chris Grayling has disagreed with his Labour Party predecessor, saying: "Lord Adonis is not involved in this. He's got his facts wrong." Stagecoach and its minority partner Virgin Trains had undertaken to pay £2.3 billion in premiums at 2015 values between then and 2023, equivalent to £3.3 billion when allowing for inflation. Stagecoach chief executive Martin Griffiths alleged that the East Coast business had been affected by delays in upgrading infrastructure, while Virgin founder Sir Richard Branson said the early exit would cost the two companies £100 million. Plans to introduce Intercity Expresses on East Coast may also now be put back. The National Audit Office will now investigate the details of the DfT's decision. It said: "We expect to examine the Department’s management of the franchise to date and the implications of its plans for the new ‘Partnership’." The DfT meanwhile, has denied the claims by Lord Adonis and others that the early termination amounts to a 'bailout'. It said: "The government has been very clear – no one is getting a bailout and Virgin Stagecoach will continue to meet its financial commitments made to the taxpayer on the East Coast rail franchise, as it has done since 2015. "Premium payments continue to flow to the taxpayer, as they currently do, and any suggestion that the taxpayer will be out of pocket is completely wrong."